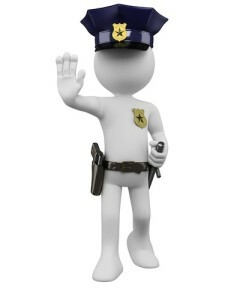 Thank you for investing in your police selection interview preparation. 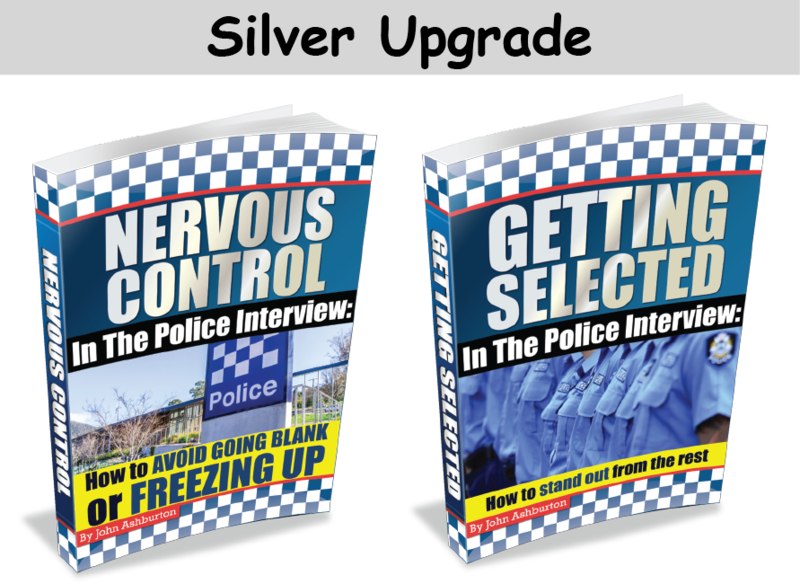 Two Additional eBooks: If you are worried about ‘Going BLANK’ or FREEZING UP’ in your interview, need to learn how to answer scenario questions or you just want to know how to stand out from the thousands of other police applicants, this package upgrade is for you. These eBooks will be released next month valued at $60 for both. However, if you pre-order right now, you will get BOTH for a total of $19.95. Click the Silver Upgrade button to receive immediate access when these eBooks are released in July 2015. Four Additional eBooks: This is the complete package for ultimate interview success. If you want the most comprehensive interview preparation and to be the most prepared applicant on the day, this is the upgrade for you. This complete package of eBooks will be released next month valued at $100. However, if you pre-order right now, you will get EVERYTHING for just $29.95. Click the Gold Upgrade button to receive immediate access when these eBooks are released in July 2015. No thanks, I already know how to effectively plan my interview and I’m not worried about ‘going BLANK’ or not knowing what to say. If you choose to upgrade to the Silver or Gold Packages, your previous payment choice will be accepted for the appropriate $19.95 or $29.95 within the next 24 hours.